Some people just want a simple solution for protecting their iPhone. That’s exactly what the WaterField Designs iPhone Suede Jacket is. It's simple sleeve style protection. Ultrasuede® hugs the iPhone making sure it doesn't spring out when you don't intend it to. The bottom of the pouch/case has to be pinched in order to remove the phone from within. The suede material is thin and light, but manages to add a solid exterior layer of protection to the iPhone. The Suede Jacket is available to hold the iPhone 5/5s/5c/ and iPhone 4/4s. There is a separate larger version which will slip over an iPhone when already in a separate fitted case, so it can be useful even if you should crave greater protection. When used on its own, the firm hug of the WaterField Designs iPhone Suede Jacket, coupled with its natural protection, creates a nice low profile protective solution when you want to keep your iPhone in your pocket or within a bag. WaterField Designs iPhone Suede Jacket offer a few different design options for a more personal identity, these being cheetah print, zebra print and our design which is classic black. An optional pocket can be attached, which we did opt for. It's the ideal size for storing things like earphones, credit cards and cash. Light travellers will appreciate this organised and convenient facility. After heavy usage of the Suede Jacket, we have no complaints to make about its build quality. This San Francisco manufactured piece doesn't look overly complex, but its structure is solid and the classic black edition retails for just $9.99. 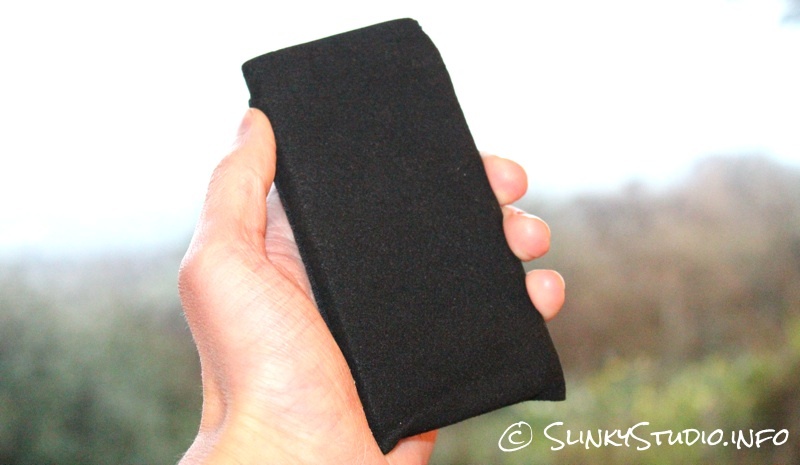 The suede material can pick up muck and debris, so keeping the interior of the jacket clean is important if wishing to avoid scratches and damage to the iPhone. There are some people who like to use their iPhone without a fitted case and the WaterField Designs iPhone Suede Jacket caters for them just as a place to store and carry their phone. Those wishing to gain extra protection when using a fitted case can obtain the larger version of the Suede Jacket sleeve and gain that extra peace of mind.